Introducing for the First Time in India – Feature Packed Touch Screen Display. 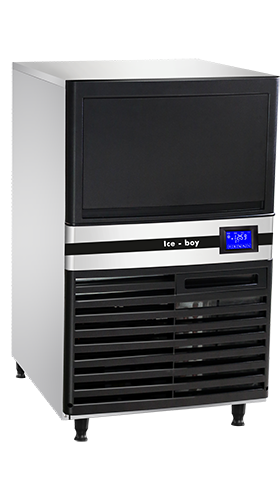 • Adjust Ice Size with a Simple Touch – User can adjust desired Size and Weight of the Ice Cubes with the touch of a button from the New Touch Panel. 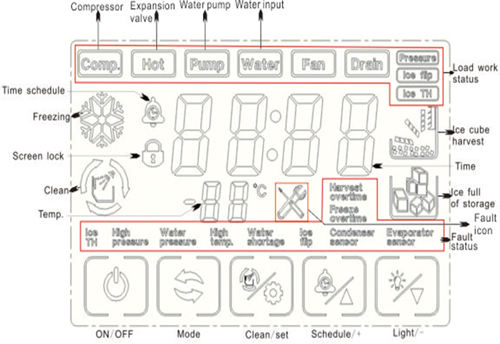 • Control Water Drain – User can control the amount of water to be drained directly from the Touch Panel as per the water inlet quality; maintaning the Ice Quality, while reducing water wastage. Feature Packed Touch Panel Keeps the User in Control. 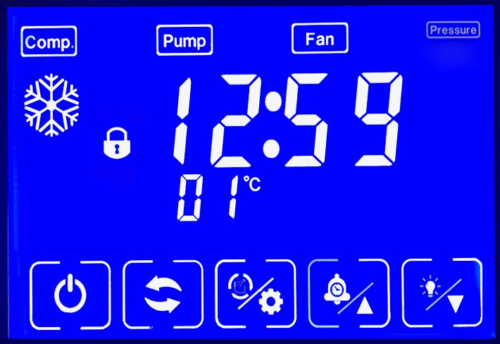 • The Touch Panel shows the current state of the machine Including currect cycle, Ice Making time, Storage Full Indication, No Water Indication, etc. 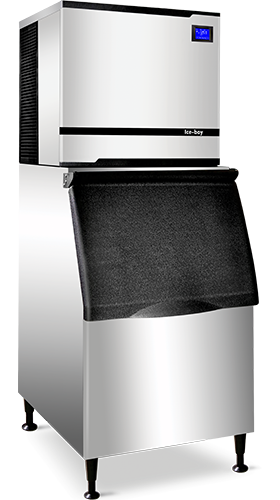 • Auto Start and Auto Stop – User can set a Timer to start the machine at any given time of upto 12hrs. Machine stops automatically in case of water shortage, high pressure, etc. • Auto Cleaning every time machine starts. Dice Shaped Ice Cubes made with the leading Vertical Evaporator Technology. Widely used in Fast Food Restaurants, Cafes and also for Packaged Ice Selling. Welcome to Ice boy India. 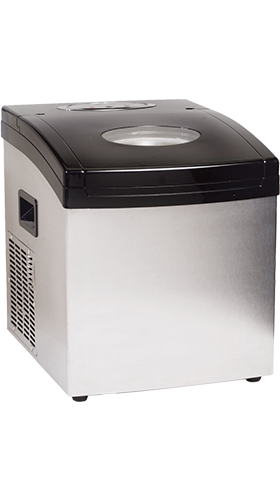 We provide you with a fine range of World Class Ice Making Machines including Bullet Shape, Solid Shape, Dice Shaped Ice and Ice Crushers. 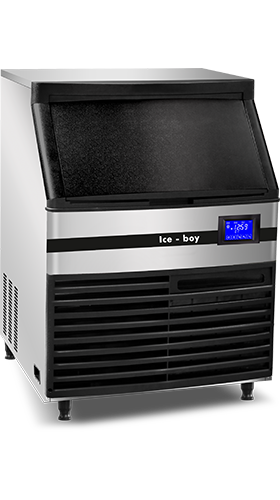 Ice Boy uses German innovation and technology to make their machines the most technically advanced machines in the world. 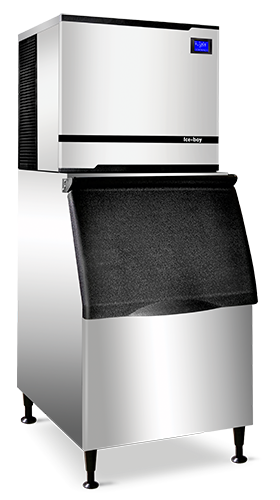 They are not only attractively designed but are low in maintenance and easy to operate. © 2019 ICE BOY All Rights Reserved.